The Pareto Principle, also known as the “80/20 rule,” is familiar throughout the business world. In sales, the formula is this: 20% of sales reps drive 80% of sales. The 80/20 rule applies across industries and national boundaries. It has persisted for generations, even though sales managers and business leaders try to move the needle on productivity using a variety of techniques. Training is a popular technique, but it rarely budges the Pareto Principle in the long term; almost 90% of training content is forgotten within a few weeks. Coaching from sales managers doesn’t appreciably change sales rep productivity either; sales managers usually spend 5% of their time coaching employees rather than the 50% they are expected to spend. Sales managers who try to hire their way to greater productivity rarely succeed since it can cost up to $97,000 to replace an employee. And the replacement cost is only the beginning — it typically takes a new employee about 10 months to fully get up to speed. Using traditional techniques like these might improve productivity on the margins temporarily, but sooner or later, the Pareto Principle reasserts itself. 1) Dynamic sales playbook: AI can provide real-time guidance to sales people, transforming the static playbook into a dynamic sales playbook that allows sales professionals to adjust actions based on changing marketplace factors. Since AI can analyze vast amounts of data in an instant, it can detect patterns people don’t recognize, such as news about product releases and changes in online buyer behavior. By weighing these factors, a dynamic sales playbook provides guidance that is designed specifically for each sales opportunity. For example, imagine a vendor team negotiating a deal with a restaurant chain to sell a line of appliances. The sales team is making progress, but the buyer stops returning calls. The vendor team’s AI-enabled dynamic sales playbook discovers that a competitor is offering an upgraded line of similar appliances at a discount. Notified of this significant marketplace change, the original vendor team adjusts their offer, enabling their company to stay in the running for the deal. To illustrate how smart recommendations can work, picture a sales team with a quota to meet for Product A. The goal motivates salespeople to talk to prospects about Product A at every opportunity. But what if a specific customer needs Product B instead? An AI-enabled sales solution can detect signals about the customer’s needs by analyzing public activities online, then pass that information to the sales rep who could offer Product B. It’s a win for the customer, the company and the rep.
3) Custom communication channel selection: Customer communication preferences are as individual as customers themselves. Some people ignore emails and respond quickly to texts. Others would rather chat on the phone than text, while some prefer face-to-face meetings. Salespeople who have a large customer base find it hard to keep track of which communication channels individual customers prefer, but AI can make smart recommendations based on past behavior and other relevant data. By analyzing factors such as how customers were contacted recently, contract information, transaction data and information like social media activities, an AI-powered sales tool can help salespeople select the right communication channel for each customer. This can improve the rep’s chance of receiving a response and making a sale resulting from the communication that much more likely. A dynamic sales playbook, smart recommendations and help selecting the right communication channel are three ways AI sales tools can improve sales rep performance in the years to come. But there are many more ways to apply big data and machine learning to continuously improve performance. Companies that get in on the ground floor of AI-enabled sales can gain a lasting advantage. Harvard Business Review shows how a scientific approach to improving sales effectiveness can increase sales productivity, improving the performance of salespeople in the lower performance quartiles by up to 200%. And the benefit of a scientific approach extends to top performers, too, generating an average productivity increase of 50% across the board. With AI-powered sales support, leaders can keep their top producers — the 20% — performing at peak levels while dramatically improving the performance of the 80% who haven’t contributed as much to the company’s revenue stream. That’s a breakthrough that can allow companies that use AI-powered sales tools to finally overturn the 80/20 rule. 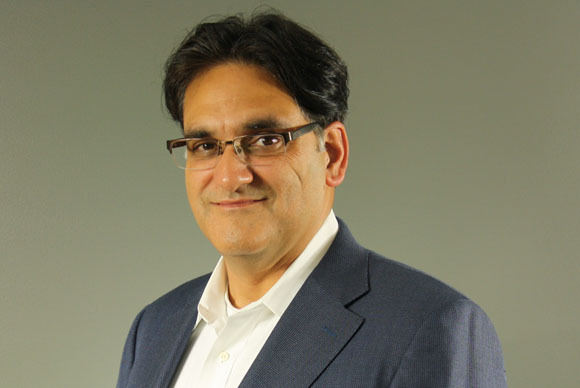 Anil Kaul, Co-Founder and CEO of Absolutdata, has more than 22 years of experience in advanced analytics, market research and management consulting. He is passionate about analytics and leveraging technology to improve business decision-making.